I think she wore it on purpose.Maybe its the new trend.Lol. Description : Is this fashion? I think she wore it on purpose.Maybe its the new trend.Lol. What do you think? 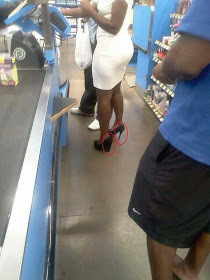 0 Response to "Nigerian Lady Steps Out For Shopping Wearing Two Different Shoes(photo)"